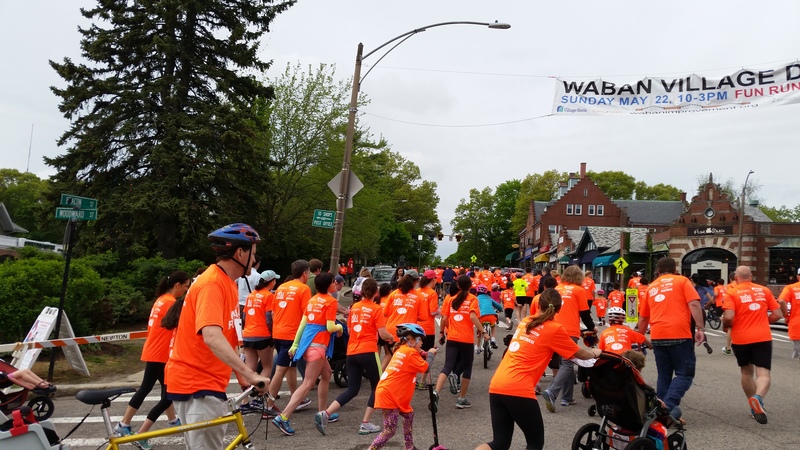 Waban Village Day will be kicked off by the 14th Annual Family Fun Run on Sunday May 19th at 10:00am! Racers of all ages are encouraged to participate, including children who are allowed to ride bikes and scooters along the 3.1 mile race course. 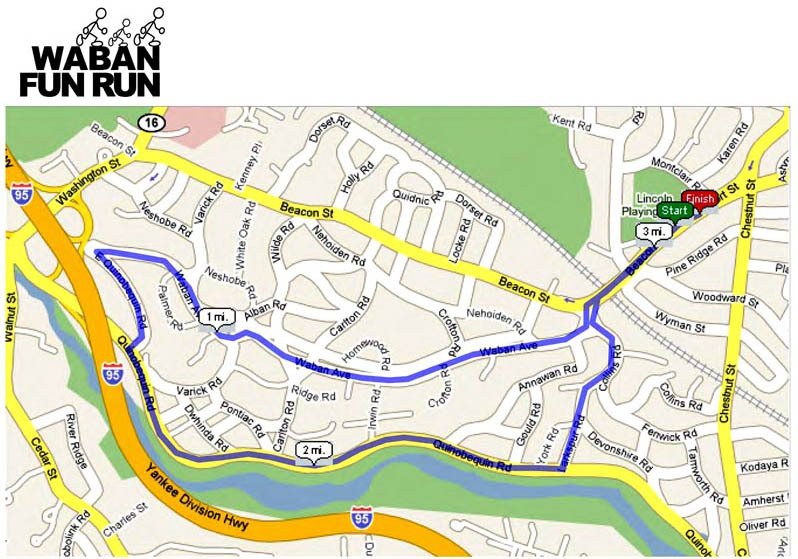 All racers must check-in at the Fun Run table in Waban Square between 9:00-9:30am. For those who have pre-registered, you will be able to pick up your race day T-shirts and race numbers at the Fun Run table the morning of the event. Day of race registration will also be allowed, but please be aware that race day T-shirts may not be available. The registration fee is $20/individual or $50/family (up to 4 members) and includes the race day T-shirt(s), which will be made from cooling performance fabric again this year! Online pricing includes a $2 PayPal fee for individual registrations and a $3 PayPal fee for family registrations. In order to be guaranteed a race day T-shirt, you must pre-register for the Fun Run no later than Sunday, May 5th. WAIVER OF LIABILITY: I know that running is a potentially hazardous activity. I should not run unless I am medically able and properly trained. I assume all risks including but not limited to falls, contact with other participants, and the effects of weather, traffic and road conditions, all such risks being known and accepted by me. In consideration of your accepting my entry, I hereby for myself, my heirs, executors, administrators, do release and discharge the Waban Improvement Society, Inc., the City of Newton and all persons and/or sponsors, their directors, officers, employees, agents, representatives, and successors officially connected with this fundraising event from and against all damages and/or actions which might arise out of my traveling to, participating in, and returning from this event.